Emoji have proliferated all our conversations on the web and beyond as they make it really easy for us to express ourselves without using a ton of words. The popularity of emojis also skyrocketed because of the extensive reach of the smartphones. The virtual keyboards on smartphones make it really easy for us to access emojis allowing one to easily express themselves with just a few taps. However, when it comes to desktops, emojis have still not overtaken normal words just because it’s not simple to access them. 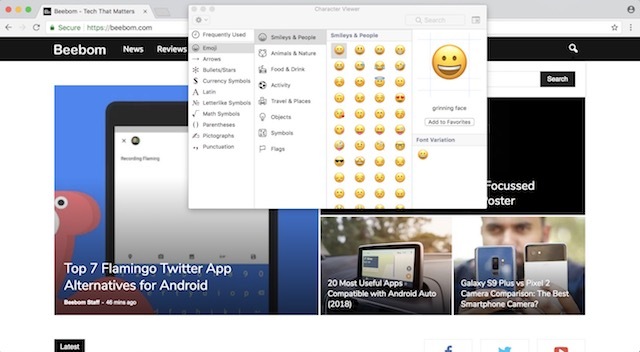 While different operating systems like macOS give users a simple keyboard combination to access emojis, it’s something which is hidden in the background, thus restricting the usage of emojis. But, it seems that Google wants to change that by allowing users to easily access emoji menu on Chrome by just right clicking on any text field. When a user will right-click inside a text field, the first option that they will see will be an option to launch emoji picker that is supported by their desktop OS. 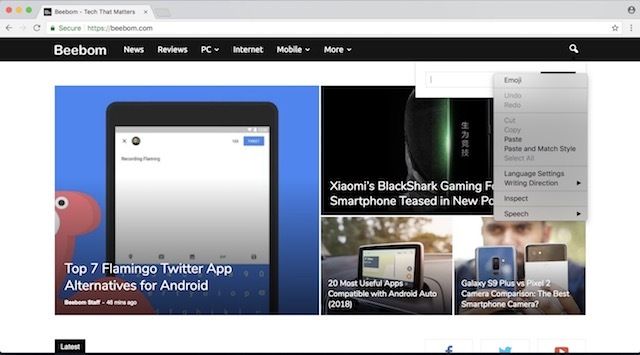 Currently, the feature is only available on the developer-focussed and Chrome Canary channel which is not something a normal user would be using, owing to the instability of the app. That said, Google mainly uses the Canary channel to test features which slowly make their way into the stable build of Chrome, that’s why it won’t be long when users will be able to use emoji picker on their Chrome browser. If you are on the Canary Channel of Chrome and want to see how this feature works, all you need to do is open the chrome://flags and search for emoji and enable the flag mentioned above.